1. financial: (*) granted by 2. in terms of staff: (*) granted by 3. in terms of material: Office for MEP activities provided free of rent. (*) granted by J. Longhurst Ltd. (*) Identity of the third party or parties concerned. CV/0 deleted Secondary education. Has worked for British, French and American companies operating in the commodity markets, especially the London Metal Exchange (since 1982). CV/1 deleted In the UK Independence Party: National Chairman (1998-2000); Chairman of the European Election Committee (2002-2004); Chairman, South East Counties (since 1999); national spokesman (since 2000). CV/2 deleted Member of the European Parliament (since 1999). Vice-Chairman of the EDD Group (1999-2004). Secondary education. Has worked for British, French and American companies operating in the commodity markets, especially the London Metal Exchange (since 1982). 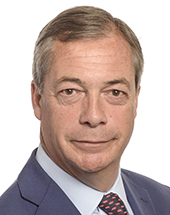 In the UK Independence Party: National Chairman (1998-2000); Chairman of the European Election Committee (2002-2004); Chairman, South East Counties (since 1999); national spokesman (since 2000). Member of the European Parliament (since 1999). Vice-Chairman of the EDD Group (1999-2004).